Arctic Shrew Monkeys, the runaway leaders of the William Hill Darts League’s Sid Dennis and Sons Division One, chalked up another win. This time it was a 10-2 success at the Ex Service Sports, with Rick Garner hitting 140, 180, and a 16-dart pairs leg with partner Lee Yates, who himself threw 123, 140. Also helping the side open upa seven-point gap was Martin Bell (2x121, 2 x 140, 180 and a 16-dart singles leg). Red Lion beat Ex Service Cobras 7-5 and the Liberal Lads took on second-placed Ex Service 501s and recorded an impressive 8-4 victory. For the Liberals, Eric Hammond (125, 140 180), Terry Cox (2x140) and Mark Carter (125, 140) threw well. The 501s’ top performer were Gary Garton (140, 180 and a 19-dart leg) and Carl Parnham (2x140, 120, 15 and 19-dart legs). The division’s two new boys met at the Seaview, as Seaview Oak took on Welcome Anchors. And what a game it was as the home side raced into a 4-2 singles lead with Tony Parkin (125, 2x140 and 102 finish) in form. He then took the first pairs with Kristian Thein (121, 125, 148 finish) while Wayne Burles and Rob O’Brien (122, 138, 180) won the next to set up a nailbiting last pairs, which Lee Godrich and Tony Parkin won for the Oak to earn an 8-4 win. The Anchors had Lee Dore snr (123, 137, 140,180 and a 14-dart leg) throwing well while Ron Subden - a week after retiring - played both the singles and doubles. 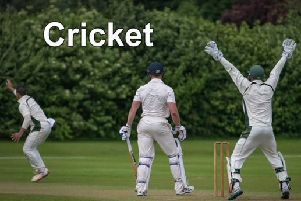 In the Sid Dennis and Sons Ltd Division Two, the top two sides met as Finnegans played host to Ex Service C.
Finnegans began the day second on leg difference but ended Friday evening on top of the table. Despite losing the first singles, it was Finnegans who took control of the match, winning the last five singles to lead 5-1 going into the pairs. Ex Service won the first pairs, but it was to be Finnegans’ night as they rattled off the last two pairs with Phil Lonslow (2x140) being their high scorer, getting the result 9-3. Two points further away in third are WMC Aces after their impressive 9-3 win over Chatsworth Hotel. Seaview Raiders took all the singles against the Cricket Club, then took two out of the three pairs up for grabs to record a fantastic 10-2 win. At the foot of the table both the teams yet to win met one another. Liberal Us hosted Welcome Hillbillies in a tight game which the Liberals won 9-3. They were helped by Stuart Giles who threw 121 and 140.